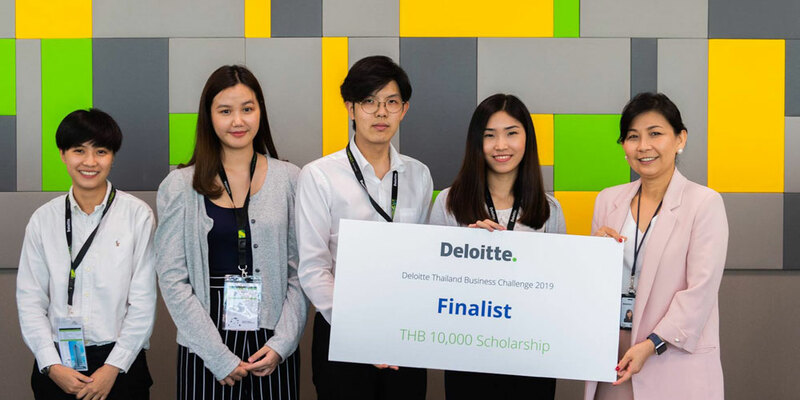 Four BBA students each received a scholarship grant of 10,000 Baht as one of four teams in the final round of the Deloitte Thailand Business Challenge 2019 hosted by Deloitte Thailand on February 4-8, 2019 at AIA Sathorn Tower in Bangkok. The students were Ms. Napatchanok Na Chiangmai, Ms. Kamonwan Phoosri, and Ms. Pantira Kornkasem, all of whom are taking up Finance major; as well as Mr. Tanut Petcharapirat from Business Economics. The Deloitte Thailand Business Challenge is a tax and risk business case competition. 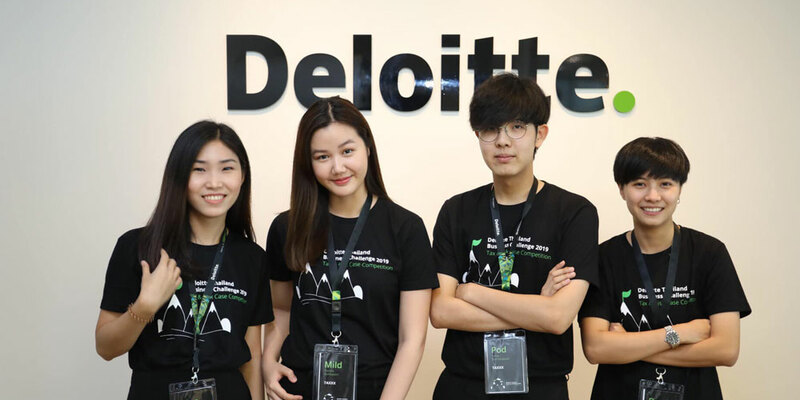 Being part of this remarkable competition allowed our students to meet and demonstrate their skills and abilities to Deloitte professionals through organization and presentation. 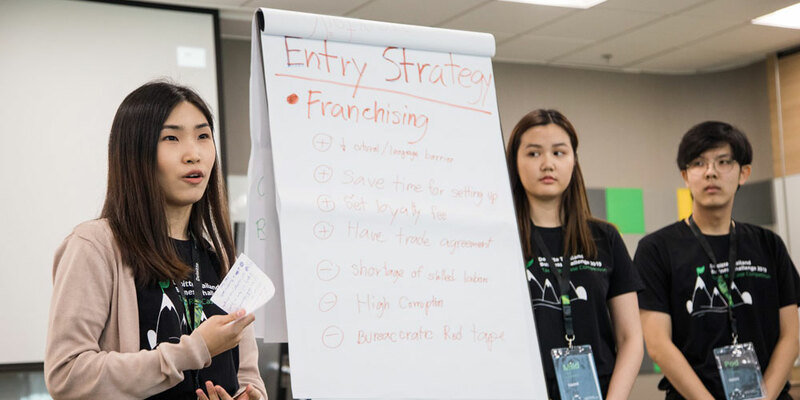 Joining the competition also helped our students learn how to apply their business knowledge to real-world practices, gain insight into real business cases, and prepare for their future career. The Business Administration Division would like to sincerely thank Deloitte Thailand for providing an opportunity to MUIC students. Deloitte is one of the big four auditing firms providing professional services including audit and assurance, tax, consulting, enterprise risk and financial advisory services.